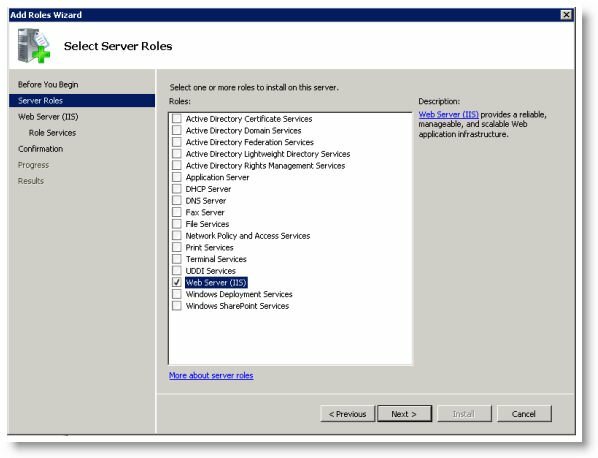 IIS 7.0 is one of the Windows Server 2008 Server Roles. 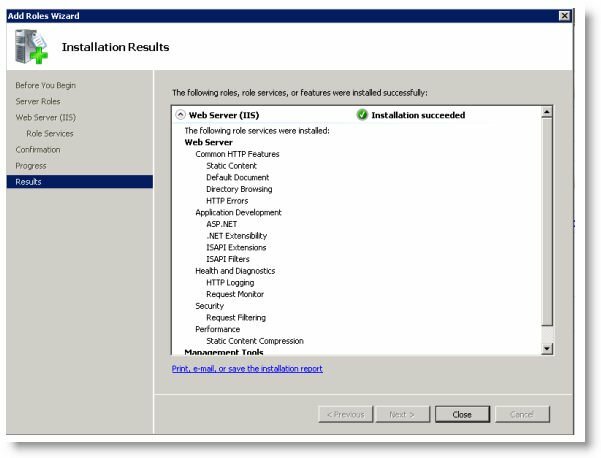 IIS can be installed through the GUI using the new Server Manager interface after the Windows Server 2008 OS is installed. Server Manager provides a single dashboard to install or uninstall Server Roles and Features. It also gives an overview of all currently installed Roles and Features. 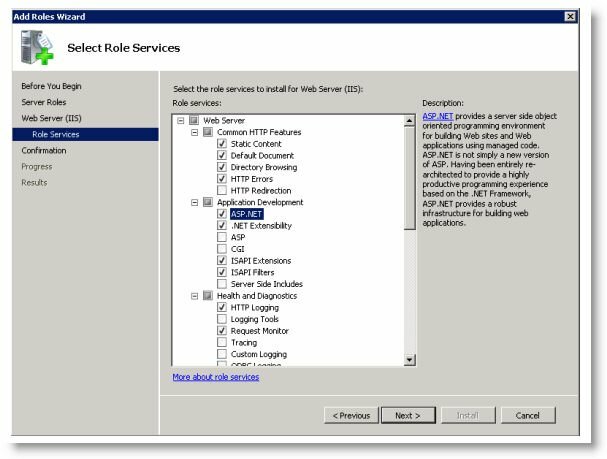 When IIS 7.0 is chosen from the Server Manager, the basic components, and services needed for IIS are automatically selected.